Yep . . . Ice Diving ! . . . cold . . numbing cold even above the ground, how about under water ?? Beneath the ice ??? Yikes ! burrrr . . . . must be freezing ! See him so energized below . . . clearing the snow to dig a hole where he can lower himself down into icy waters I guess. Hyun Joong's into extreme sports now ! Oh, the old woman in me feels afraid lest something happens to [my^^] lil' urchin boy . . . be careful Hyu Joong ah . . . don't want to see you in accidents again., falling between twin beds is enuff :( Ok ! Me sniffed around and found some bones . . . I mean . . . some information. Warning : I'm not responsible for any headaches or dizziness you might experience after reading this post, continue reading at your own risk. 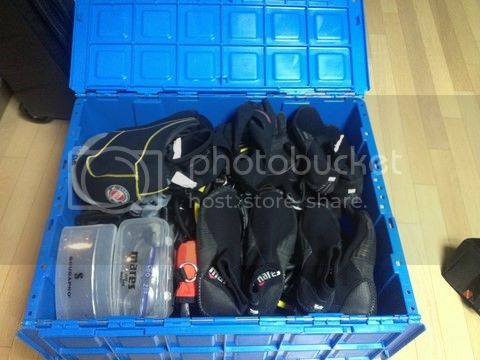 . .
such as scuba diving suits, oxygen tanks and other diving gadgets. Look at the equipments above and below, do you see anything familiar ?? Hehe . 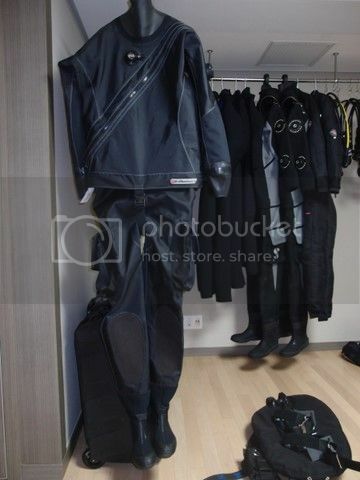 . . .yes, this is the diving suit that KHJ wore in the pix. 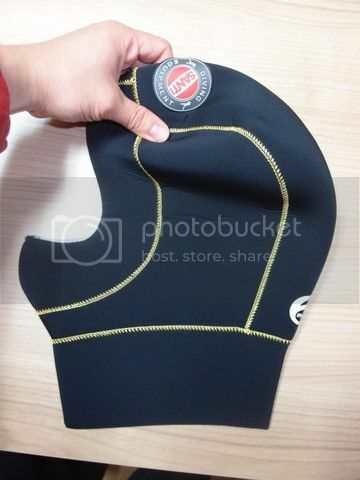 It's called SANTI Dry suit E.MOTION . . the head gear is below. 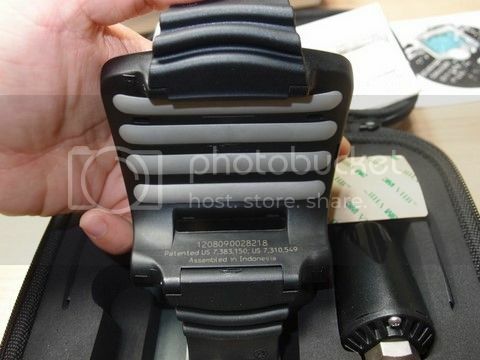 and the equipments that he talked about in his posts. Now look at Hyun Joong in the pix above . . . ever wondered what he's holding there ? 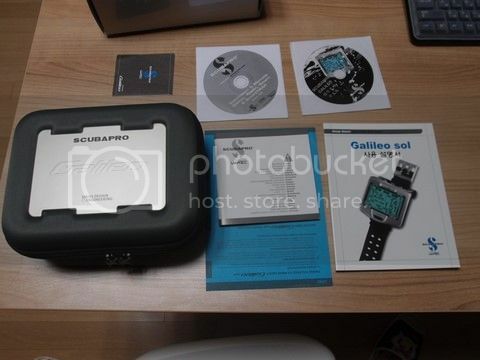 Well it's a dive computer called Galileo sol and it's very smart :) At the risk of sounding like a sales rep for Galileo sol, me iz gonna talk about that gadget, Hyun Joong must have understood the workings of that thing, I'm sure of it. . . coz it's for safety. . . so me wanna understand too. Safety first . . . Mr Lee Won Young - the instructor - said in his blog . . . According to the product site, Galileo is a dive computer that has an integrated heart rate monitor. . . it also tailors the decompression calculations to your dive, whateverthatmeans. It has a navigational system with integrated digital compass and bearing memory and there're graphical charts that let you review the dive profile at any time . . . and . . . err . . . bla . . bla . . bla . . geezz , do we really need to know this ??!!! Hyun Joong dear, what have you gotten me into ??? first I had to put soccer matches pics here in my blog . . . coz you love soccer, now you've pulled me in very deep into diving and ice diving with all it's paraphernalia !! So, ladies . . . if y'all haven't got a headache yet . . . let us get down and dive deeper. Lets see the gadget KHJ's holding [see more clearly for yourself HERE]. The monitor display shows depth, dive time, deco information [ whateverthatis, maybe decompression info? ], tank pressure, RBT [ asked Mr Google, he said it's Remaining Bottom Time, I dig some more and it means current air consumption, will explain later ], time of day, stopwatch, active MB level [ Micro-Bubble suppression level, ifuwannanoewhatdatis, I'll explain at the bottom @. @ ], temperature, heart rate, maximum depth, average depth. Wow, like they used to say : "You've come a long waaay, baby. . ." divers of old didn't have these kinda gadgets I bet. 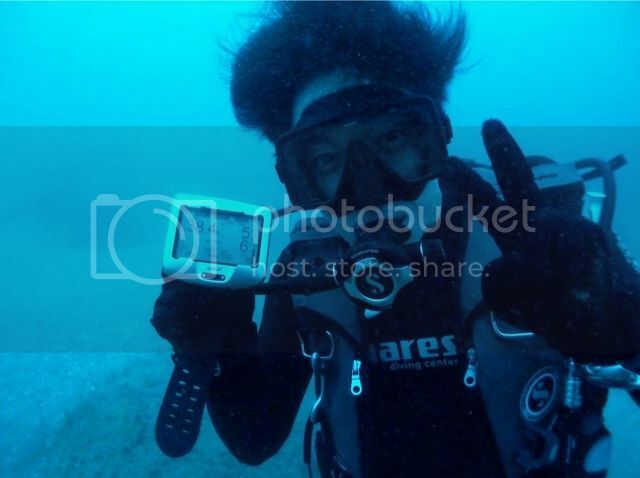 Looking at KHJ's pix, the depth of his dive was 38.4 meters, his dive time was 5 [mins??] . . . so help me, I'm only guessing here ^^ . 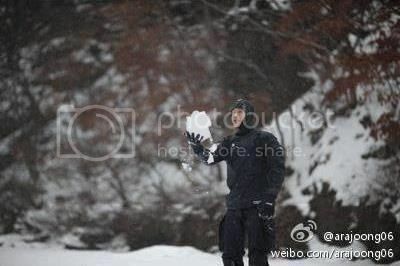 . . and if the pix were larger, we would be able to see how much Oxygen KHJ still had in his tank, the temperature . . . and KHJ's heart rate . . . [ if it was us wearing that gadget, our heart rate should go super crazy near KHJ, that little gadget would just give up and die :( ]. Oh . . . so dizzy, I'd really be happy to just go and lay down a bit and watch a K-drama or something, but I also promised you I'd explain about MB or Micro Bubbles. . . okie dokie . . . Micro Bubbles are microscopic bubbles . . . tiny tiny bubbles, bubbles smaller than one millimeter in diameter. It seems one of the ways they are produced is by the movement of an object moving through water, which creates a bubble layer. These bubble layers absorb or reflect sound waves and have the potential to cause fatal defects in IC [integrated circuit] products. Suppressing the development of micro-bubbles is very important if you want your gadgets to keep working underwater ^^ Hence the gadget shows you the Micro Bubbles suppression level . . . .wheeee . . I'm done !! 'Course . . . that's just a GLIMPSE of Hyung Joong's world . . . .
Hyun Joong sweety, choose an easier hobby for us to follow next time, ne . .
like . . . cooking , perhaps ??!! Kekekeke . . . sigh . . .
and frolicked under the sea . . . 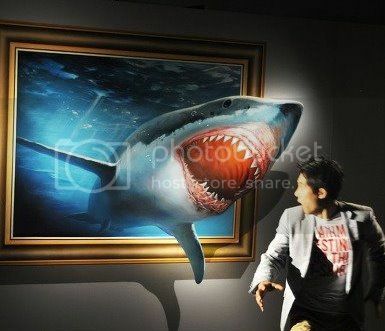 I suppose he's not afraid of sharks anymore ?? and I'll put it in....thank you !! Hi Myoce, Nice post! I don't just see pics of HJ in his diving gear and say uh huh, new hobby. Now I understand a little something, the dangers, the safety nets etc. So nice to see you again, my new year's OK...I hope you'll have a great new year and I wish you lovely things for 2013. I understand more and more that there's not only a handsome face to the person that is Kim Hyun Joong. He's got the guts, persistence, concentration, and drive to pursue what he wants.